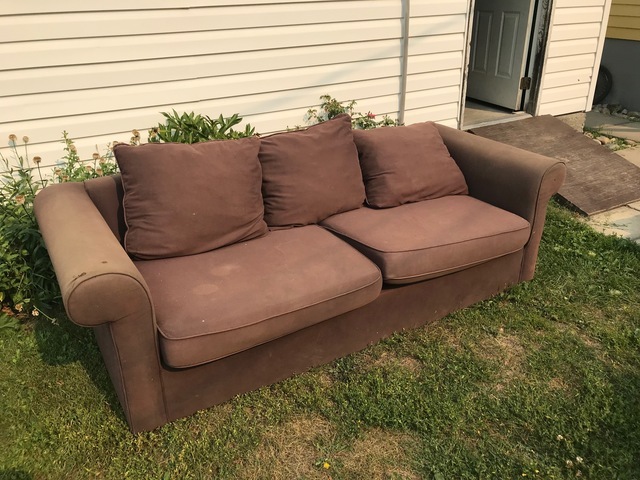 Free Couch. Brown. Comfy. Could use a cleaning.